The Djinn’s Hellabrew is back! 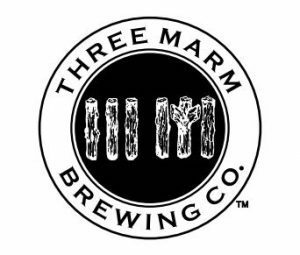 This year, Andrew and Three Marm Brewing debuted a new beer in addition to the Hellabrew; MYSTIC: a roasty stout infused with hints of rum and Caribbean spices. All proceeds of the beer sales went to benefit the Mountain Film and Theater Arts Committee (MFTAC), a scholarship assisting members of the community who wish to pursue a career in the performing arts. Stay tuned for announcements about the winners of this year’s scholarships! Special thanks again to Ryan Wicks of Wicks Brewing Co. and the Lake Arrowhead Chamber of Commerce. The Djinn’s Hellabrew returned to the Lake Arrowhead Brewfest, this time with Andrew launching a fundraiser for a new scholarship benefitting local high school students who wish to pursue a career in the performing arts. Once again, Andrew exceeded his goal, and the scholarship was subsequently awarded to three students. Andrew’s ongoing efforts to serve the mountain communities were recognized by California senator Mike Morrell. 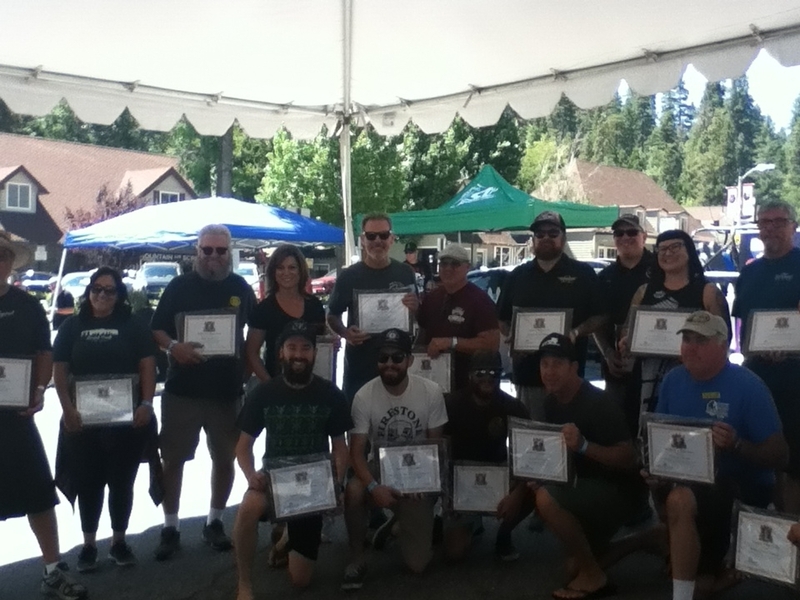 Special thanks to Wicks Brewing Co., the Brewfest coordinators, and the Lake Arrowhead Chamber of Commerce. To read more about the 7th Annual Brewfest, visit My Horrific Life and NBC San Diego. Andrew Divoff attended the Hollywood Police Activities League bowling tournament, Pins for PAL, along with other celebrity guests including Kristen Bauer, Koda Corvette, Kristen Doute, Kate Linder, Johnny Ortiz, Pauly Perette, Zach Sewlyn, Mathew St. Patrick, Brian Taylor, Paul Vercammen, and Zack Ward. Over 200 guests attended, raising $10,000 for Hollywood PAL. For more information, visit Hollywood PAL. 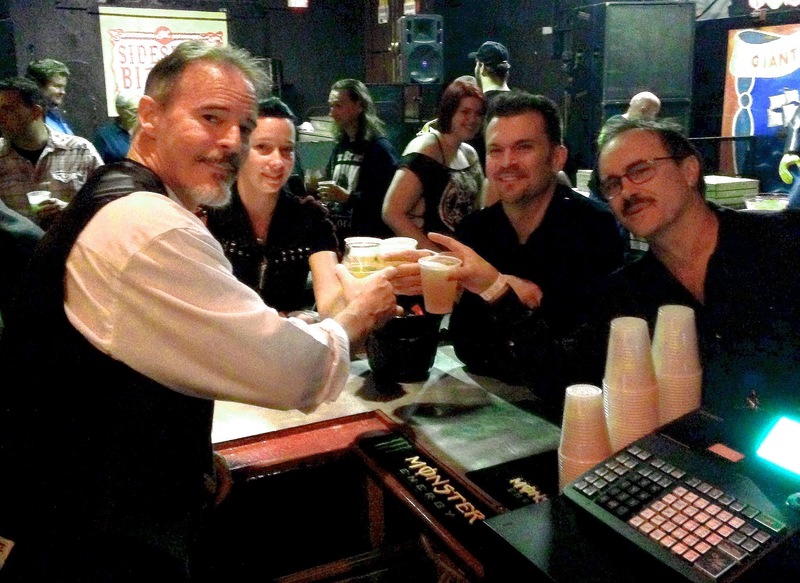 On January 7th, 2016, Andrew Divoff partnered with Wicks Brewing Co. to raise funds for the six children of Michael Raymond Wetzel, who was killed in the terror attack in San Bernardino on December 2, 2015. Andrew Divoff collaborated with Wicks Brewing Co. to create his second batch of Djinn’s Hellabrew for the 6th Annual Lake Arrowhead Brewfest. The new Djinn’s Hellabrew was met with rave reviews by attendees; even those wary of spice were pleasantly surprised by the perfect balance of citrus and mild heat. All proceeds from the sale of the Djinn’s Hellabrew, autographs, and logo t-shirts benefitted Operation Provider, the largest food bank in the San Bernadino Mountains. Special thanks to Ryan Wicks, the Brewfest coordinators, and the Lake Arrowhead Chamber of Commerce. With the help of Adam Draeger, formerly of the Yak and Yeti Brewpub in Denver; and Denver-area artist Raun Crawford, Andrew Divoff introduced the Djinn’s Hellabrew to thirsty horror fans and filmmakers at Rock and Shock in Worchester, Massachusetts. One hundred percent of the funds raised were donated to charity, benefitting Smile Train, the Dave Brockie Foundation, and the Pat Brody Shelter for Cats. Andrew extends his gratitude to Rock and Shock’s Gina Migliozzi for making the event happen. To read more about Andrew’s involvement with Smile Train, visit Dread Central. Learn more about Adam Draeger’s new venture, Inventor’s Brewpub. Andrew Divoff with Erica Wright, Kevin Barbare, and Jeffrey Combs.